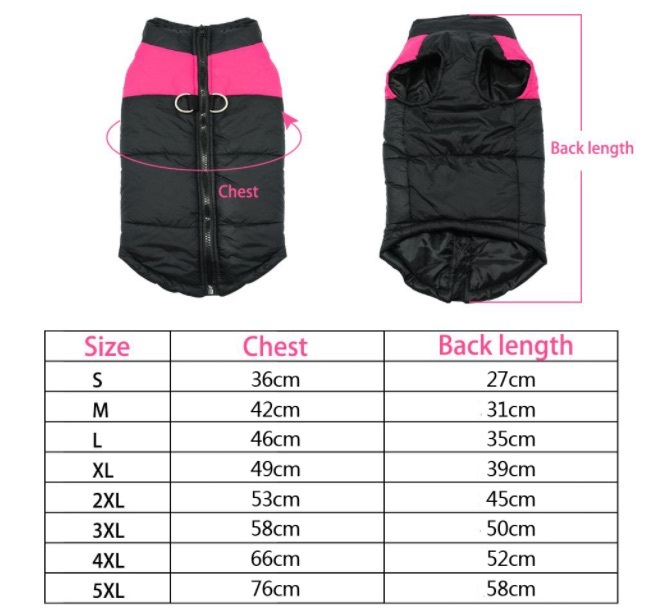 Keep Your Dog Warm With This Waterproof Jacket! This polyester dog jacket will keep your furry friend warm during the cold winter season this year. Made from durable and waterproof material to withstand wear and tear. Available in multiple colors and sizes for all dog types.